A part-time Durango resident is suspected of veering off north Main Avenue and striking two pedestrians, killing both, in March 2017. The driver pleaded not guilty Tuesday in La Plata County Combined Courts. A 77-year-old part-time Durango resident suspected of veering off north Main Avenue and killing two pedestrians last year is scheduled for trial in April after pleading not guilty Tuesday in La Plata County Combined Courts. Bobby Lehmann, who lives in La Grange, Texas, and has a vacation home near Hermosa, was charged with two counts of careless driving resulting in death. A two-day trial is scheduled for 8 a.m. April 26. 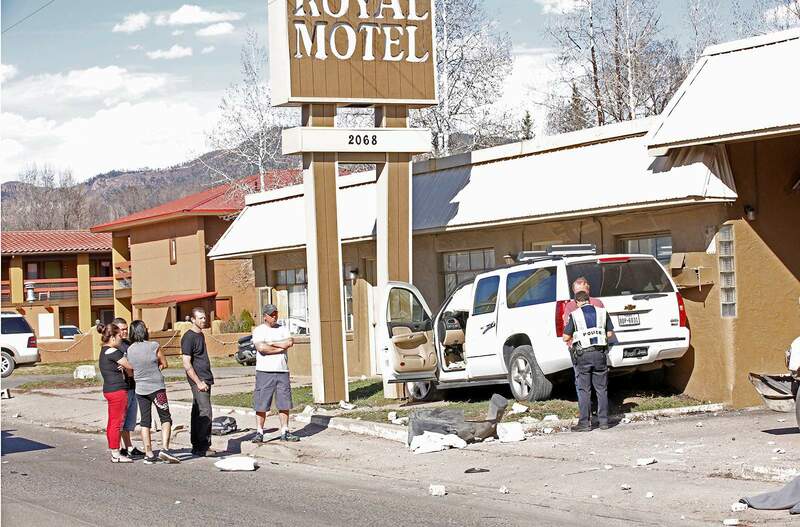 Lehmann is suspected of driving north on Main Avenue about 4 p.m. March 18, 2017, when his Chevrolet Suburban jumped the curb near the Royal Motel in the 2000 block of Main Avenue and hit two pedestrians. Two people died: Allen Duke, 23, a Fort Lewis College student, and Marco Ricchi, 46, who was visiting Durango from Italy. After an investigation that took into account blood tests, medical exams and a review of Lehmann’s cellphone and vehicle computers, Lehmann was charged in April 2017 with two counts of careless driving resulting in death. Lehmann suffered only minor scrapes and bruises and told authorities he did not remember the crash. Medics at the scene cleared Lehmann, and doctors at Mercy Regional Medical Center were unable to find anything that would explain the crash. Lehmann told police he was in town running errands and stopped at Lady Falconburgh’s for soup and a 12-ounce beer. A blood test taken nearly two hours after the crash found no drugs and only a trace of alcohol – 0.01 compared with a 0.08 driving limit in Colorado. Investigators also found Lehmann displayed normal driving behavior before the crash, traveling 32 mph in a 35 mph zone. Duke, who was studying accounting at FLC, was five weeks away from graduation. He was walking to work at the Adobe Inn when he was struck by the vehicle. He was originally from Parker, Colorado. Ricchi, who lived in Latina, Italy, was on a tour of the American Southwest, having stopped at the Grand Canyon, Valley of the Gods and Monument Valley. He was training to run a marathon.